CPOs should become CP3Os – Chief Project, Program and Portfolio Officers! It is impossible to deliver value to an organisation if any of the layers of project governance are ineffective. 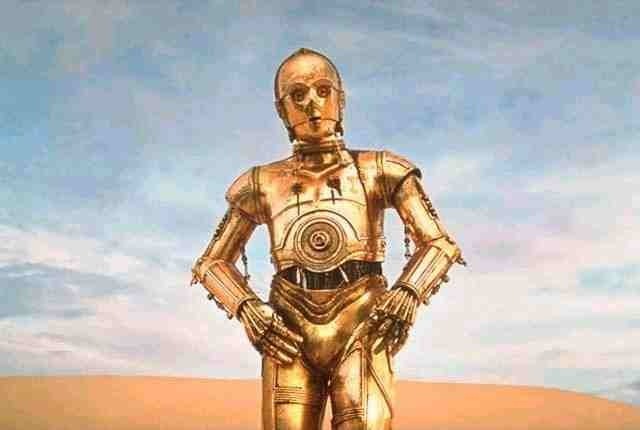 Like C-3PO in Star Wars, the CP3O needs to be an expert in communication and understand the right language and protocols to use at different levels of the organisation to tie the project, program and portfolio management processes directly to the creation of value. At the portfolio management level, selecting the ‘right’ projects and programs to continue, cancel or start is vital to the future success of the organisation. The CP3O should be a key advisor to the executive team responsible for the strategic plan and selecting the on-going mix of work for the organisation; balancing high-risk, high-reward projects that may define the future of the organisation with ‘safer’ projects that help keep the lights on and grow today’s business. The capacity and capability of the organisation’s program and project delivery systems is a key enabler and the primary constraint on this process. The CP3O should be the person with the knowledge to facilitate effective decision making. Program management focuses on the efficient coordination of multiple projects to deliver benefits. Each program is focused on delivering key elements of the organisation’s overall strategy and consequently has a significant contribution to make to the organisation’s ability to deliver value to its stakeholders. The CP3O should be actively engaged in ensuring the programs meet their businesses objectives. The program sponsor and other managers may have line responsibility for the initiative, the CP3O focuses on skills and support. Project management is focused on the efficient creation of the deliverables defined in the Project Charter. Projects are most effective when their objectives are clearly defined and unnecessary change is minimised. Whilst Project Managers may report to a variety of managers, the CP3O should focus on skills development and performance. Most organisations have developed PMOs to support the delivery of Projects and Programs and to provide the data needed for both governance and Portfolio Management decisions. The development and operation of the organisation’s PMO structure should be a core responsibility of the CP3O. The role of a Project Director (at least in Australia) is as the manger of project managers. The difference between Project Directors and Program Managers is the Program is created to deliver a defined benefit (the responsibility of the Program Manager) and projects are created to deliver the outputs required to enable the benefit. The Program Manager has overall responsibility for both the performance of the projects within the program and enabling the benefit; whereas Project Directors tend to be responsible for oversighting the performance of the projects within their area of responsibility. The Project Director is typically discipline and location based; eg, the Director for IT projects in Sydney. The project deliverables may contribute to a range of initiatives within the organisation. Project Directors should be direct reports of the CP3O. The CP3O (or CPO) role is becoming more common. Defining the value proposition for this executive will be critically important to the improvement in delivering value through projects and programs. One of the key initiatives a CP3O can use to drive continuing improvements within the organisation is to develop a focus on process improvement using an effective maturity model. PMI’s OPM3 is probably the best tool from the perspectives of rigour and its focus on projects, programs and portfolio management. Mature organisations firstly select the right projects to do, then do them ‘right’. The pyramid of returns on effort demonstrates the power of investing time to ensure the right processes are in place to support the right people to do the right things. CMMI from Software Engineering Institute (SEI): Carnegie Mellon University. CMMI (and predecessors) has been used by organisations for many years, there is statistical proof of effectiveness and two approaches to maturity assessment (staged and continuous). CMMI is a systems engineering maturity model with project management as one aspect of systems delivery. P3M3 from Office of Government Commerce UK (OGC): offers a staged approach that supports an organization’s journey through progressive maturity in all three domains. P3M3 is more aspirational in its approach, lacking some of the rigor and detail of the other two systems. Maturity modelling is an important step to attaining process maturity, the challeng is choosing the best model. I have just seen some information on a 2007 survey undertaken by the PMO Executive Council (part of the Corporate Executive Board: http://www.executiveboard.com/). This snapshot survey, Attributes of a High Performance PM – 2007, found very little correlation between project management certification and project management effectiveness, or the number of years a person has been in project management roles and project management effectiveness. The survey found the drivers for project management effectiveness were behavioural attributes such as problem solving and the ability to relate effectively with key stakeholders. Whilst many people may initially want to disagree with these findings, they are consistent with many other trends and on reflection quite logical. Firstly, the survey did not look at the PM’s track record, merely the time the PM had been in project roles. It is reasonable to assume highly effective PMs will have a relatively short PM career and then move on and up the organisational hierarchy. Less effective PMs are likely to stay in their PM role focused on process and technology. Secondly, whilst PM credentials such as PMP remain very effective tools in the job market; passing your PMP does not make you an effective project manager (see more on PMP). The PMP knowledge framework gives you the knowledge to be an effective project manager. Being effective requires you to become a competent project manager. your willingness to use the skills effectively (essentially behavioural traits). Qualifying project managers based on behavioural competencies is in its infancy. The Australian Institute of Project Management (AIPM) has recently moved its professional certification program (RegPM) from a procedural view of competency (eg, do you have a project schedule – the artefact?) to a behavioural view of competency (how effectively do you manager the schedule on your project?). This is ground breaking work. PMI have adopted a different, but similar approach in their program management certification (PgMP) with a 360 degree review testing how effective the candidate is in the workplace. These trends have a long way to go but are likely to be the next step in project certification. Of more direct interest in the short term is the demonstrated link between how effectively a project manager engages with his/her key stakeholders and high performance outcomes. These skills are a core element in a number of workshops we run including Successful Stakeholder Management and The Science and Art of Communicating Effectively, and are supported in part by our Stakeholder Circle® methodology and tool set. Learning how to apply the skills in the workplace though is not quite as simple as attending a workshop or buying a set of tools. Soft skills are very hard to acquire and use. My feeling is they are called ‘soft’ because they change shape and texture depending on the environment they are being applied within. The calculations for EV or CPM are universal; the best way to engage a senior stakeholder is totally dependent on the culture of the organisation. Some elements remain consistent (eg, the need for an effective relationship) but the way this is achieved varies. Developing these advanced skills that are the attributes of high performance project managers requires context sensitive coaching and mentoring rather then formal courses (see: Executive PM Coaching & Mentoring). Ideally organisations seeking to develop high performance PMs will move beyond certification towards implementing internal mentoring systems – it’s the best way to ensure they are contextually relevant. However, where we differ from the survey findings is that we believe certifications such as PMP are still relevant. Passing a PMI credential such as PMP or CAPM (see more on the PMI credential framework) is a positive demonstration of the initial knowledge component of competency; it’s just that knowledge alone is not sufficient. Achieving this next level of high performance PMs will also require organisational competence in at least two domains. Process competence measured by tools such as PMI’s OPM3® framework and relationship management maturity measured by tools such as my SRMM® framework. These are definitely interesting times for our profession. The project management profession would appear to be in a confused state! PMI’s 2008 Pulse of the Profession survey shows improved performance from 2006 with over 55% of project completing on time and over 58% on budget. The survey also found a strong correlation between the project management maturity of the organisation and improved project outcomes. These numbers represent a downturn in the success rates from previous studies, as well as a significant increase in the number of failures. Around the same time as PMI, Human Systems International Ltd and the Association for Project Management (APM – UK) conducted a survey. The results of this survey reported in the May 2009 edition of Project Manager Today which showed that whilst value realisation is a long way from satisfactory it is not as bad as Standish would suggest. The survey showed 48% of organisations do not measure benefits realisation and of the remaining around half achieve more than 80% of the expected benefit and 22% less than 60%. It’s hard to know what to make of the conflicting data – superficially, it would appear that organisations that employ professional project management staff (APM and PMI members) do better then organisations overall. But even then, the results are not that good. An alternative view may be the definition of a project with the APM & PMI membership being more focused than the Standish survey. For more on this see: What is a project? The last alternative is IT projects (surveyed by Standish) are worse on average than projects in general. Confused???? I certainly am. The real key seems to lie in the area of project management maturity. Maybe OPM3’s time has come at last?? (PMI’s Organizational Project Management Maturity Model). PMI launched four updates to its range of standards on the 31st December 2008. The four standards are aligned and consistent which will help ensure all levels of the profession are using the same terms, have the same understanding and can promote harmonisation across all levels of an organisation. Earlier blogs have discussed the changes in the PMBOK® Guide and their impact on the credential examinations for PMP, CAPM, PgMP and PMI-SP. This blog focuses on the changes to OPM3 and The Standards for Program and Portfolio Management and their potential benefits for organisations. The second edition of PMI’s Standard for Portfolio Management describes good practices in the discipline of portfolio management focused on ‘doing the right work’. It does not matter how good an organisation is at delivering projects and programs if the outputs are of no real benefit to the organisation. On-time, on-budget and not used is just a wast of money and resources. The new standard builds on the processes for managing a portfolio of projects and programs defined in the first edition to include Portfolio Governance to include the responsibility of senior management to be accountable for investment decisions throughout the portfolio lifecycle; and Portfolio Risk Management. The key element in portfolio risk management is not avoiding risk, but balancing the types of risk accepted to deliver the maximum potential return from the organisation’s overall investment in its portfolio of projects and programs. Portfolio Governance makes sure the investmant is managed effectively. The most significant difference between the First edition and the Second Editions of the Standard for Program Management is in the development of program-specific knowledge areas. These included knowledge areas that are critical to successful program management as well as knowledge areas that are significantly different at a program level than at a project level. A second significant difference between the two editions was in the removal of “themes” that were introduced in the first edition. The theme of Program Stakeholder Management was expanded into a knowledge area. The theme of Program Governance was significantly expanded and also became a knowledge area. The theme of Benefits Management was incorporated into the body of the document. The challenge now facing organisations is to make effective use of the resources represented by these new PMI Standards; this is where OPM3 comes into play. OPM3 is a model for measuring project management maturity against a comprehensive set of best practices based on the PMBOK® Guide (projects), Program and Portfolio Management Standards. The updated OPM3 Standard, its self assessment module and the more capable OPM3 ProductSuite are fully aligned with the new PMI standards and have incorporated the concept of Organizational Enablers, previously only found in ProductSuite. Organizational Enablers are the attitudinal and structural elements of an organisation that enable the efficient management of projects and programs. The updated OPM3 tools and reports allow assessment results to be categorised by Knowledge Area, by Business Results, and by Balanced Scorecard to ensure any planned improvements are focused on the areas of a business that provide the greatest return on investment. In short, OPM3 is the tool that allows organisations to create a better value proposition from their investment in projects and programs. For more on OPM3 see: http://www.mosaicprojects.com.au/OPM3.html (this page will be progressively updated as we develop a better understanding of the new OPM3 tools – Mosaic is one of the very few organisations in the Asia Pacific region with consultants qualifed to deliver OPM3 ProductSuite assessments ). Apart from my scheduling paper, Mosaic’s other contributor to this blog, Lynda Bourne, will be presenting the official PMI OPM3 presentation: ‘Optimizing Organizational Performance: Harnessing the Power of Project Management’ and also our workshop ‘The science and art of communicating effectively’ as part of the PMI SeminarsWorld following the congress. So with all of the hard work done, we are now starting to plan our travels to Malaysia for February 2009. The PMI Congress is being held at KLCC from 9th to 11th Feb. We have both been regular visitors to KL over the years and are looking forward to returning to a wonderfully vibrant city. Between us, we have been to all of the PMI Global Congresses in the Asia Pacific and find them both educational and enjoyable – if you can make the Congress, we would certainly enjoy catching up.